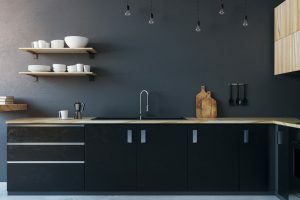 You are here: Home / Inspiration / What does it cost to remodel a kitchen? 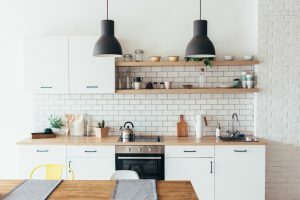 You could answer this question with, “How long is a piece of string?” After all there are many factors involved in remodeling a kitchen—all of which will affect the price of the remodel. The average cost of remodeling a kitchen is $17,000 but you need consider several areas listed below to calculate the cost of your own remodel. It’s worth looking at these factors first to ensure you establish a realistic budget. After all, you need to know the potential cost and establish a budget getting started with a remodel. 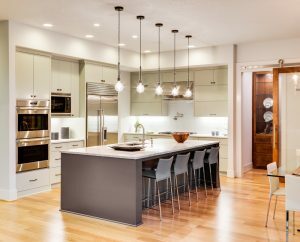 The most obvious factor in a kitchen remodel is the size of the space you have available. The larger the space the more it is likely to cost you more simply because you’ll need more floor coverings and cupboards to create the perfect kitchen. There can be a large difference in cost between purchasing kitchen cupboards from your local store and using a commercial joinery firm. However, this extra cost can be worthwhile. Bespoke cupboards can be made to fit the place and to your exact requirements. They are also likely to give your kitchen a top end finish. That means you get to enjoy a beautiful kitchen and increase the value of your home if you are looking to sell. 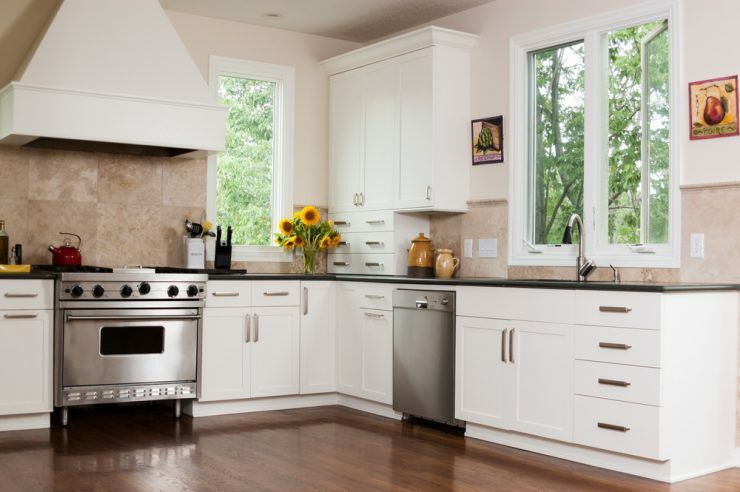 If you’re remodeling your kitchen then you are likely to be replacing all the appliances. Again there is a big difference in the price of appliances. A basic stove may set you back as little as $100 while the top end ones could cost 5 or even 10 times this amount. Your decision regarding which appliances are best will partly depend on your budget. However, you should also consider how the look of the appliance will blend in with your finished kitchen. It is also worth looking at the energy ratings. A high rated energy appliance will use less electricity throughout the year. Eventually this additional investment can be recovered through energy savings. It is also important to consider the current state of your kitchen. While a remodel usually means taking everything out and refitting it, the state of your walls in particular can increase the cost of your remodel if they will need to be new drywall, texture, and paint. You also need to think about the current position of electrical outlets and the plumbing. If this needs to be moved then there will be an extra charge for a professional to relocate them according to your needs and design. Hard flooring is essential to spills and the constant foot traffic. The question is how much you want to splurge on gorgeous floors. 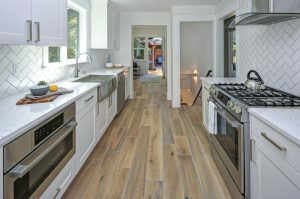 There is a significant price difference between vinyl flooring and tiling the kitchen. You should also consider the amount of preparation that will be needed to enable the floor to be laid properly. 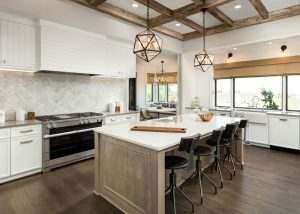 While the average kitchen remodel price may be $17,000, you can pay significantly more or less depending on the finish you want, the amount of work to be done, and whether you are capable of doing some of the work yourself.